All FREN TUBO brake hoses are approved by SAE J1401 e FMVSS 106 Norms. Our motorcycle brake kits are also certified by the main Certification Authorities based on these Norms: the German T.Ü.V. and the American D.O.T. 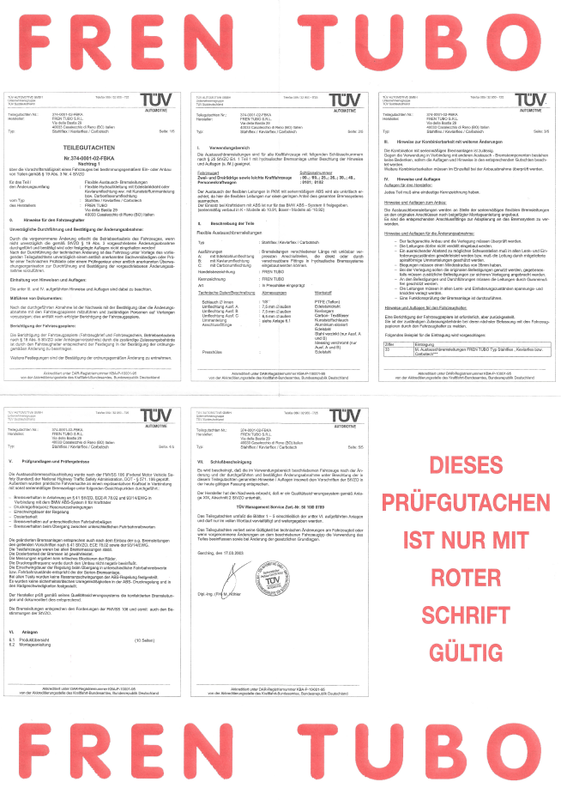 An Italian certification does not exist yet, the Italian companies shall use one of the European Union Certification Authority: we opted for the most recognised German T.Ü.V. 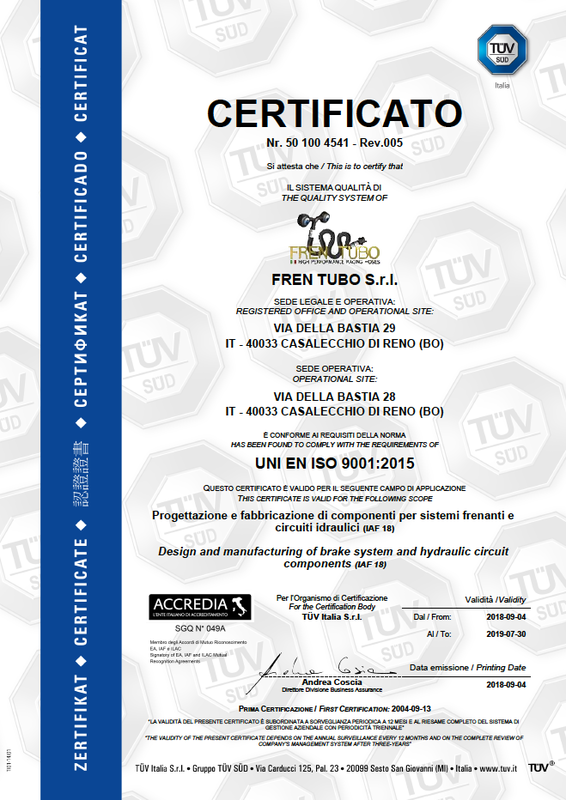 From 2000 FREN TUBO has certified its Quality System ISO 9001 in Italy with the German T.Ü.V., which is operating on the Italian territory with the brand T.Ü.V. ITALIA.